86 prize in CORABIA OLR FINAL (525km) !! 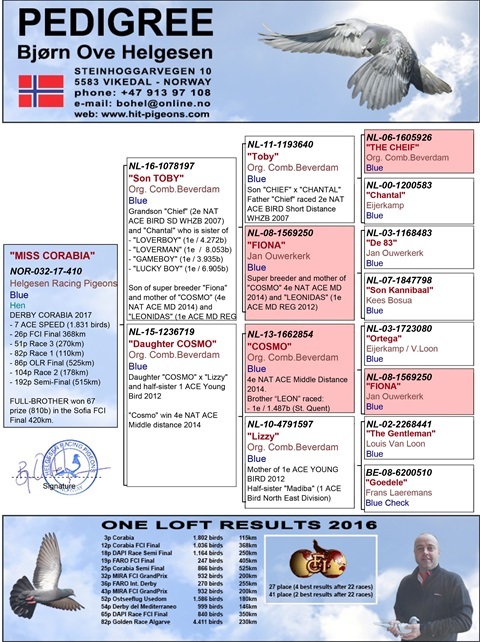 New milestone achieved by our loft, when “MISS CORABIA” completed all six races in the Corabia OLR 2017. This beautiful hen got the 86th place in the OLR finale 2017 (525km).